Sit back, relax and enjoy the sunshine in Salmon Arm. Tucked away between the tranquil shores of Shuswap Lake and the beautiful surrounding mountains, Salmon Arm is a great base for a getaway. Whether you’re searching for adventure, need a little downtime, or just want to be surrounded by nature, Salmon Arm combines it all. The Prestige Harbourfront Resort, known for its unobstructed views of Shuswap Lake and nature estuary, will have you wanting to extend your stay for days. The resort has three great on-site dining options; the Sandbar restaurant, Don Cherry’s Sports Grill and Café Tasse. It also boasts an indoor and outdoor pool, outdoor hot tub, spa and salon, and fitness centre. Guests are also welcome to borrow complimentary bikes, sporting equipment, board games and beach toys for added enjoyment. Here are a few ideas if you looking for something a little extra. Walking and hiking trails are plentiful in and around town. For a breakdown of the trails with distance and difficulty, click here. If you would prefer to hike in a group, you can book a tour. With Salmon Arm’s rich wetlands and lush forests, there are over 300 bird species that are attracted to the Shuswap area. Be sure to bring your binoculars and become a bird watching enthusiast as you can see many species right from the Prestige Harbourfront Resort’s patio, or take a stroll along the pier and Canada’s longest wooden inland curved wharf. Click here for tips for Beginner Bird Watchers. Walking through the streets of downtown Salmon Arm, you will encounter various boutiques and specialty shops. From clothing to home décor, used books and trinket stores, you will enjoy browsing to find many unique items. For more assistance in planning your itinerary click here. 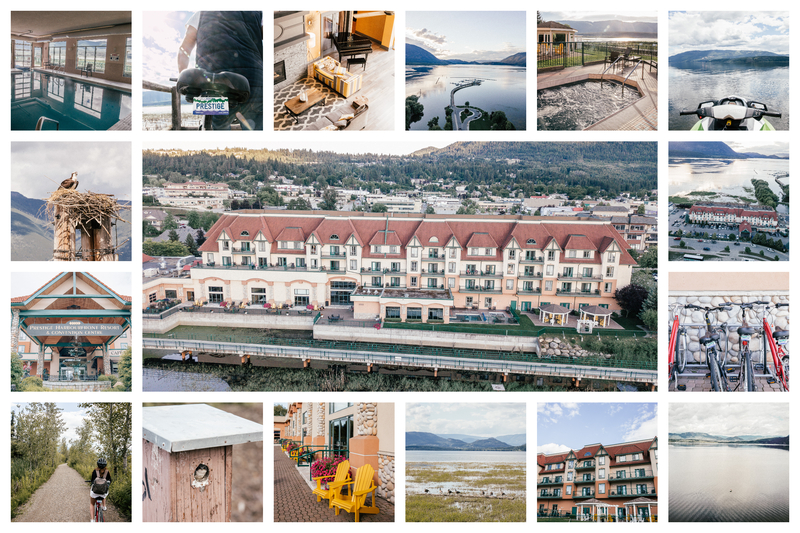 This entry was posted in Salmon Arm and tagged Extend Your Summer, Salmon Arm by Prestige Hotels & Resorts. Bookmark the permalink.